No one in America explains the importance of good network policy than Susan Crawford (previously), a one-woman good sense factory when it comes to Network Neutrality, municipal fiber, and reining in the excesses of the goddamned ISP industry. Her latest book is Fiber: The Coming Tech Revolution―and Why America Might Miss It, a timely and urgent look at how America is sacrificing its digital future, productivity, connectivity, social mobility, entrepreneurial growth, education, and every other public good, thanks to rapacious telcos, scumbag lobbyists, and negligent, cash-hungry politicians. Crawford and her publisher, Yale University Press, were kind enough to give us an excerpt (below) so you can get a sense of why you should be reading this. Fiber optic, as a category, is both old and new. The cables running under the oceans and among the major cities of the world began to be upgraded to fiber thirty years ago. And once a fiber optic cable is in the ground, it lasts for forty or fifty years; it is essentially future proof, because its information-carrying capacity can be almost infinitely upgraded without digging up the cable, merely by swapping out the electronics that encode and power the pulses of light that travel within its walls. Most people in non-fiber countries (including the United States) can’t even buy what in fibered countries counts as a standard, modern internet connection. About 11 million American households, out of 126 million total, are connected to last-mile fiber, and that service is usually available only at very high prices from a single unregulated provider. Meanwhile, South Korea, Japan, Hong Kong, and Singapore have virtually 100 percent fiber adoption at low prices, and often scores of competitors. Here’s why: Those hair-thin fiber strands, capable of carrying billions of phone calls simultaneously, plus advanced wireless communications that depend on that fiber extending into the last mile, will make possible virtually unlimited, cheap communications capacity wherever you are—which in turn will give rise to new businesses, new transport capabilities, new ways of managing our use of energy, new forms of education and health care, new ways of earning a living, and new forms of human connectedness. For these things to happen, both fiber and advanced wireless technologies need to be widely and competitively available. Without these basic pieces of open infrastructure in place, your country will be missing out on the future being lived and built elsewhere. Fiber plus advanced wireless capability is as central to the next phase of human existence as electricity was a hundred years ago. Just as countries that quickly ensured cheap access to electricity revolutionized their economies and provided dramatically improved quality of life for their citizens, countries that figure out how to get fiber to everyone will have ever-increasing advantages over those that do it slowly. Take the 2018 Olympics in South Korea: Korea Telecom was smart to focus on sports—and the Olympics in particular—in demonstrating its prowess. Sports grab humans in real-time emotional ways, and the Olympics mark the global pinnacle of inspiring athletic achievement. KT got the world’s attention in 2018. But KT’s display of its 5G fireworks is far more significant than any Olympic event could possibly be. Korea is going through a phase change in digital communications that has implications for almost every occupation and source of economic power of which we’re aware today. In the crowded city of Seoul, for example, I met many twentysomethings who did not distinguish between online life and “real” life; for them, these are simply layers of life as a whole. This generation is so accustomed to cheap, unlimited connectivity everywhere that they have forgotten its existence—just as people in other countries forget the existence of electricity until it is suddenly not there. South Koreans are impatient. For them, going to almost any city in the United States is a little like going off the grid. In Seoul, I met Yeon Sung Choi, a professional e-sports player who is as famous in his sport as Lionel Messi, the best goal-scorer in the world, is in soccer. Yeon Sung, who now works as a coach for the SK Telecom T1 Starcraft II team (telecommunications companies are major investors in the e-sports industry in Korea), told me he’d lived through the transformation of Korea that took place following the installation of high-capacity networks that permitted any number of people to play games simultaneously. At age twenty, he realized he could beat just about anyone. The essential factor in connectivity, he says, is latency, or response time; any delay makes it very difficult to play. Some players say latency starts to become obvious when there is a gap of 150 milliseconds or even less between pressing a button and a visual response. 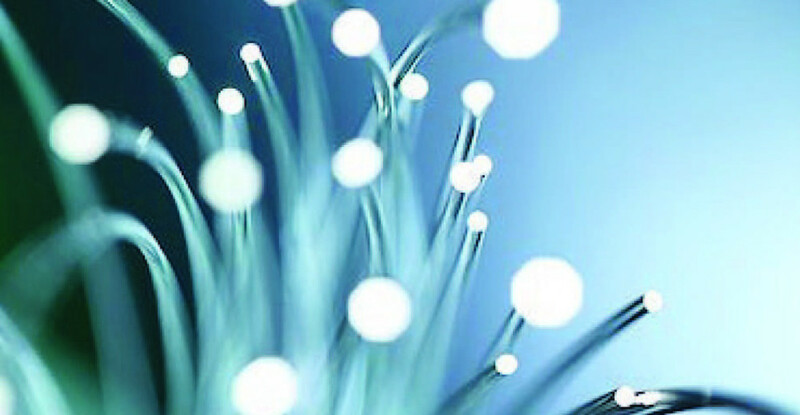 Fiber connections generally have lower latency than cable or copper wires. “In Korea the response time is really short,” he said, laughing. He sees a bright future for the gaming industry in Korea, but there is much more than gaming. The same technology will revolutionize business, medicine, education, manufacturing, energy use, and real-time translation functions between spoken languages. Fiber is also revolutionizing cities themselves. Because the city of Seoul years ago installed fiber optic last-mile connections throughout the city and its subway system, it can provide free Wi-Fi, which means the private sector can experiment with Internet of Things (IoT) services that will improve its citizens’ lives. On the same trip that had me clambering around the empty ice arena in Pyeongchang, I visited the city’s IoT testbed office. Taejin Kim, director of the testbed, told me that the city is testing its ability to provide personalized services to elders, to provide data from road surfaces and public transit so that navigation systems function well, and in general to “solve urban problems, wherever they are.” The conference room next to the mayor’s office houses an enormous dashboard that, fed by public data, allows the mayor to see the site of an accident or fire, talk in real time to public officials at the site, visually understand traffic congestion, and manage the city’s budget. Because fiber is everywhere, this enormous amount of data can be shipped whenever and wherever it is needed. The next wave of applications making use of fiber and advanced wireless services is likely to be in health care, education, or other fundamental areas than has been seen so far in Korea and Japan. I am confident that innovative American businesses will come up with services that use much more significant amounts of bandwidth when there is a critical mass of users with capacity. If and when the United States becomes a last-mile fiber sandbox for this inventiveness, the huge market here will drive those developments. We will also support our commitment to genuine liberal democracy: the rising tide of cheap, ubiquitous, unlimited connectivity needs to reach everyone in order for the country as a whole to thrive.